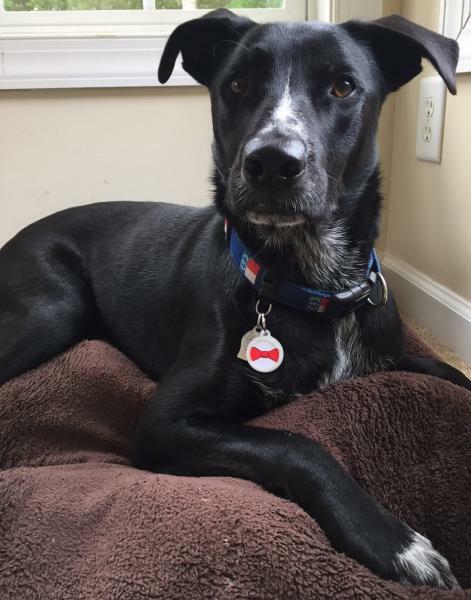 Mason feeling extra snazzy in his new bow tie tag! He has tons of energy, so when his tags constantly hit each other, the important stuff rubs off! With Dog Tag Art, he can be snazzy and have functionality!